Kids who have low levels of vitamin D have a higher chance of asthma attacks, according to a study presented at the 2008 annual meeting of the American Academy of Allergy, Asthma, and Immunology. This study is preliminary, at best, but the results are consistent with a growing number of papers looking at how vitamin D might help prevent or reverse asthma and eczema. This is in addition to earlier studies suggesting that adequate vitamin D might slash the risk of some cancers and neurologic diseases. Vitamin D, the sunshine vitamin, can be formed when the skin is exposed to sunlight or can be obtained in the diet. One recent study in kids suggested that being in the sun for just 15 minutes at a time 2 or 3 days a week, or taking a vitamin D supplement (e.g. 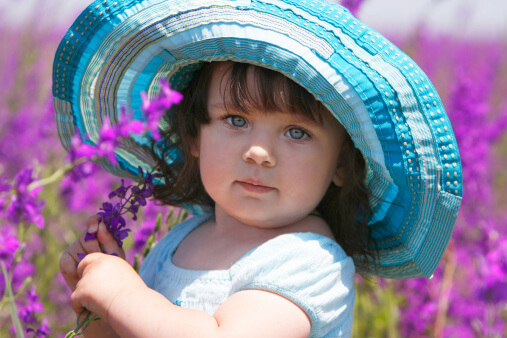 1000 IU/day), might decrease the odds of developing eczema and reduce eczema flare-ups in those who already have it. Other investigators even wonder if vit D deficiency is one of the explanations for the asthma epidemic in children in recent years. Many children get suboptimal levels of vitamin D. It’s one of the Greene 13 – the 13 vitamins and minerals I’m most concerned about kids missing the mark nutritionally. While these specific associations are not yet proven, the connection makes sense to me. We know that vitamin D acts on both the smooth muscle cells in the airways and can help with some T cell problems in the immune system. Either way, it seems to me a good idea to make sure your young child is getting an adequate amount of vit D (the USDA Dietary Reference Intake is 200 IU daily throughout childhood, and I suspect that level will be raised in the next five years). This could be all the more important if your child has asthma or eczema, or either of those conditions runs in your family.